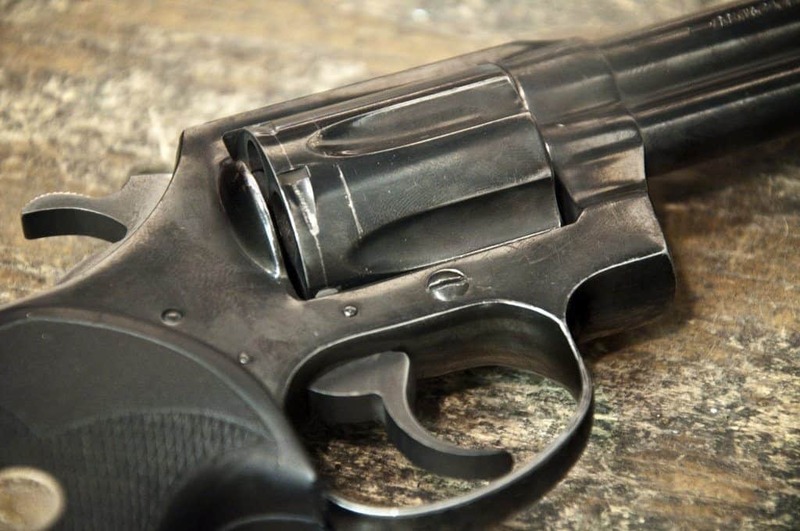 Many people who own a gun may not know how to clean a revolver, pistol, or other handgun. It is important to know how to clean a gun if you want to keep it in reliable use for a long time to come. Don't know how? Don't feel bad! 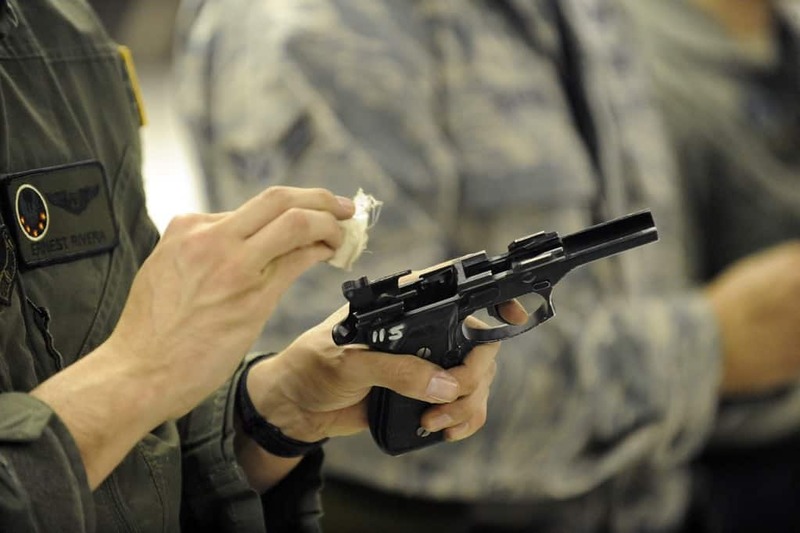 It's not hard to learn how to clean handguns, and it's never too late to learn. We'll cover all the basics of how to use a gun cleaning kit to clean your gun. ​When it comes to cleaning the various firearms you might own, it’s important to first start by making sure you have all the necessary cleaning tools. We’ll walk you through these tools and from there, we’ll dive into how to properly (and easily) clean your guns. ​Cleaning Mat - Any clean surface to clean your gun and protect it from scratches. ​Disassembly Tools - Most modern guns like smart guns don't require any tools to disassemble for cleaning, but some may require a gunsmith screwdriver kit, bushing wrench, or other special tools. This is specific to each model of gun. ​Cleaning Kit - You will need a cleaning rod, a patch holder, and patches for the caliber you're cleaning, and a soft bore brush in the correct caliber. Solvents - Gun solvents break up the carbon, oil, and other crud that makes a gun dirty. Special solvents may be required if your gun is heavily fouled with lead, copper, or carbon. ​Cleaning Brush - Use a brush stiff enough to break up dirt but soft enough to not scratch your gun. This can be a special gun cleaning brush or even an old toothbrush. Lubricant - Gun solvents will dissolve all the oils and grease present to get the gun completely clean. At the end, you'll need to properly lubricate your gun with gun specific oil or grease to ensure proper function. Cleaning Rag - A nice, soft cloth that does not leave lint behind is a good option. You can use a gun specific rag (including one that is pre-lubricated). In a pinch, a blue shop towel can be used. Gloves (optional) - Use gloves to avoid greasy hands, and ​some solvents are not friendly for contact with your skin. A disposable pair of nitrile gloves helps. Now that you have all of your tools, you’re ready to learn how to clean a pistol or other firearm. But, what is the first step in cleaning a firearm? The first step in cleaning a firearm is to ALWAYS make sure it's unloaded. “Unloaded” guns kill or injure many people a year because they actually aren't. Some guns require you to pull the trigger for disassembly. Make double sure your gun is unloaded and ​that the ammo is stored nice and safe, away from you! This is important to safety. Field strip your gun. It's not needed to remove every part - most manufacturers recommend against doing so. Just separate it into the major components so you can access everything. If your gun has a gun lock, wood stock or grip, it’s a good idea to remove it. Certain solvents can damage the​se parts. Use your cleaning rag to wipe away all the loose grit and oil. Much of it will wipe away at a touch. ​When you have removed all the surface contamination, it is time to apply your solvent to the necessary areas. Read the instructions on your chosen product. Solvent will commonly be applied with a cloth patch, or an aerosol spray. ​Allow your solvent to sit for the recommended period, usually between 10-15 minutes. This gives the solvent time to go to work breaking down the fouling. Note: Always read the instructions carefully. Some solvents can cause damage to the metal if left to sit for too long. As a general rule, you should protect your skin from contact and always do your cleaning in a well-ventilated environment free from humidity and moisture. ​Using a properly sized patch and holder, apply solvent to the bore of the barrel. If you are cleaning a revolver, apply solvent to the cylinders as well. Once the right amount of time has elapsed, you can begin brushing. Use a properly sized bore brush with nylon or brass bristles for the barrel. Clean from the chamber end to the muzzle end when possible. Run the brush the full length of the bore before reversing it. Never go partially through and reverse. Brush the fouling away anywhere you see it. Keep your cloth handy to wipe away the slurry of dirt it may create. While your gun should always be kept in a clean condition, there are some areas in particular you should pay attention to. These are areas where contamination can build up and cause rust and other malfunctions. ​Barrel - The bore of the barrel should always be bright and shiny after cleaning, leaving no build up. Never look down a barrel that is attached to a gun! Use a mirror, bore scope, or other tool as necessary. ​Chamber - The chamber is the part of the barrel where the cartridge is held. On a revolver, each cylinder acts as the chamber. The chamber should be very clean, free of contaminants, and very lightly oiled to enable smooth ​​extraction and avoid malfunctions. ​Extractor - The extractor is the part of the gun that hooks onto the rim of the cartridge to remove it from the chamber after firing. It must function correctly for the gun to work. Check that there is no accumulation of grime behind the extractor or spring and that it moves freely. On a revolver, the extractor collar or extractor rod does this job and may also get gummed up with debris. Slide Rails - On a semi-automatic handgun, the rails on the slide and frame are prone to wear and may also collect debris. This can interfere with smooth operation and cycling. Make sure to clean these areas and appropriately lubricate to keep your firearm running for a long time. ​Not only should you be cleaning your gun, you should also be keeping it in a safe place. Check out our ​guide below to find the best one for you. Wondering how to check if all of the parts of the gun are clean? It’s pretty simple. ​After cleaning, run patches through the barrel of the gun until they start coming out clean and dry, free of debris. Inspect the bore (remembering all rules of gun safety) and see that it is bright, shiny, and smooth. You should see no debris left over. If there are visible traces of lead or copper left in the bore, you might need a specific lead or copper solvent to deal with this. ​Use your gun cleaning rag to wipe the rest of the parts down and remove any debris that came loose during cleaning. A simple solvent like denatured alcohol can help with this. Inspect the parts visually and make sure they look clean, with no residue left over. Use a clean q-tip, cleaning patch, or fresh cleaning rag and wipe all the parts down. If they come away with any residue, you still have cleaning to do. Finally, you can lightly rub all the parts with your fingers and verify that all the parts feel smooth and free of debris. If all of this is good, you can move on to the next part: lubricating your gun. ​The solvents used in cleaning will remove all the lubrication from your gun. Gun oils and greases both lubricate moving parts and protect the metal from corrosion. Now that your gun is completely clean and free of oil, you will need to properly replace it. Follow the steps below to do so. ​Start by soaking a cotton patch in gun oil and push this through the barrel of your gun. This will lightly lubricate the bore and help protect it from wearing out. ​Apply a light film of oil to all the moving parts of the gun. Oil will spread much further than you think, so just a little is necessary. Too much oil will actually attract more debris. ​Areas that should be lubricated include the slide, barrel, recoil spring, cylinder, and any other moving parts involved in the operation of the gun. You should be able to find out the exact lubrication points for your gun by looking at your owner’s manual or contacting the manufacturer. ​Once you’ve lubricated all the parts, wipe down any excess and re-assemble the gun. Manually work the action to make sure everything moves smoothly and free of interference. ​One nice tool to have is a pre-lubricated cleaning cloth. These are sold for maintaining guns. Impregnated with lubrication, you simply wipe the cloth over the gun to leave a nice film of oil. ​Should I clean my gun before shooting it for the first time? ​It’s a good idea. Many guns come from the manufacturer packed in a heavy preservative grease (especially if they are imported from overseas). This grease is great at preventing rust and corrosion - not so great at live-fire performance. You’ll want to strip this heavy grease as well as any other factory debris and lubricate your gun properly before shooting it for the first time. Even if your gun arrives properly lubricated, taking the time to take it apart and clean it will allow you to inspect your new gun and become familiar with it. ​What is the easiest way to clean my guns? ​For most shooters, it’s best to buy a complete kit that has all the attachments and chemicals you need. However, if you work in a gun shop, clean guns professionally, or simply have lots of guns to clean, there are a couple of great options to save time. Gun part cleaning tanks, like those used in auto shops, allow you to soak the gun in solvent and brush debris away easily. Even better, specialty ultrasonic cleaners will clean a gun to a level that is difficult to achieve by hand - plus, they save labor. These tools represent significant investments but may pay off if you have many guns to clean. 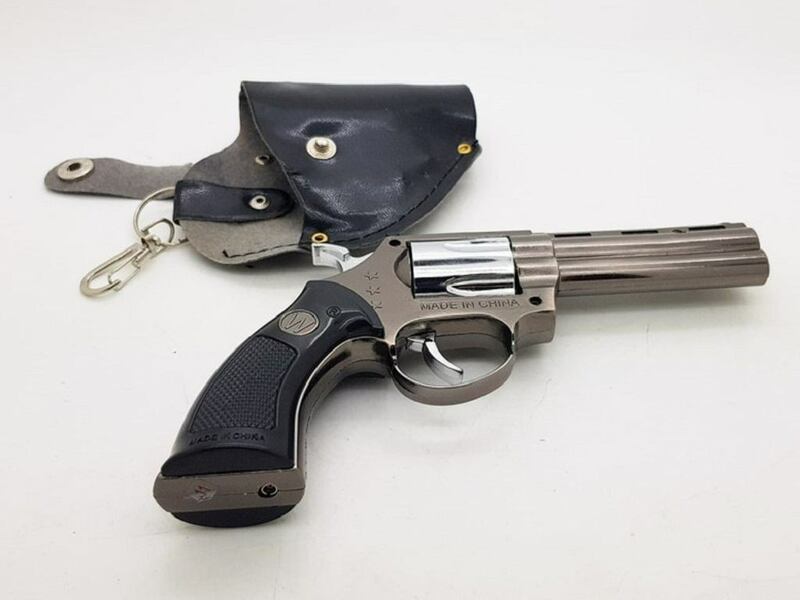 ​How should I prepare my gun for storage? If you have a gun you’re going to clean and store away for a while (for instance, until next hunting season), it's important to invest in a good gun storage cabinet on the market. 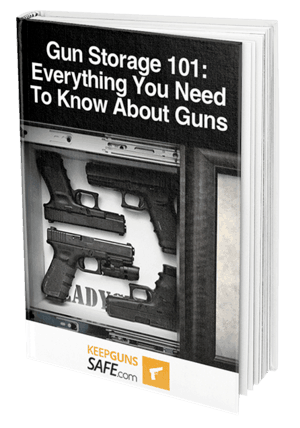 Before storing away, there are a couple of steps to take with your gun. Clean the gun as you usually would. Then, using an appropriate gun grease, apply grease the bore, slide rails, and other important parts of the gun. The grease will protect the gun for long-term storage. Be sure to clean it thoroughly before using it next time, though! Grease buildup in the barrel can be a danger if not cleaned out before shooting. ​What type of cleaning rod should I use? ​Rods made of soft materials such as aluminum, brass and plastic are preferred because they are less likely to damage the rifling or crown of the barrel. If you are cleaning a longer gun (such as a rifle), it is much preferred to use a solid one piece cleaning rod that is less likely to damage the barrel. These are more expensive, but it may be a good investment to have in your most used calibers. 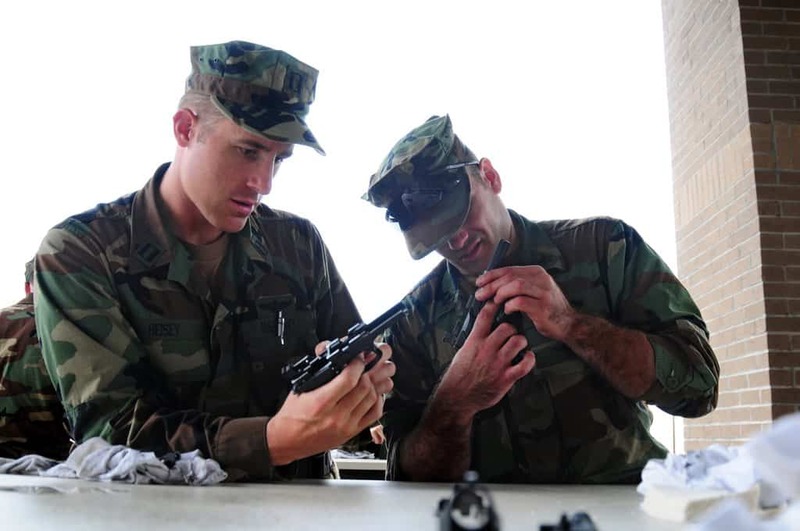 ​Proper gun maintenance is part of being an educated and responsible gun owner. Guns are seen as heirlooms and can be passed down for generations to come. If you want your guns to keep working properly - not just now, but for years to come - it’s important to take care of them the way you would any other machine. How Often Should a Firearm Be Cleaned?